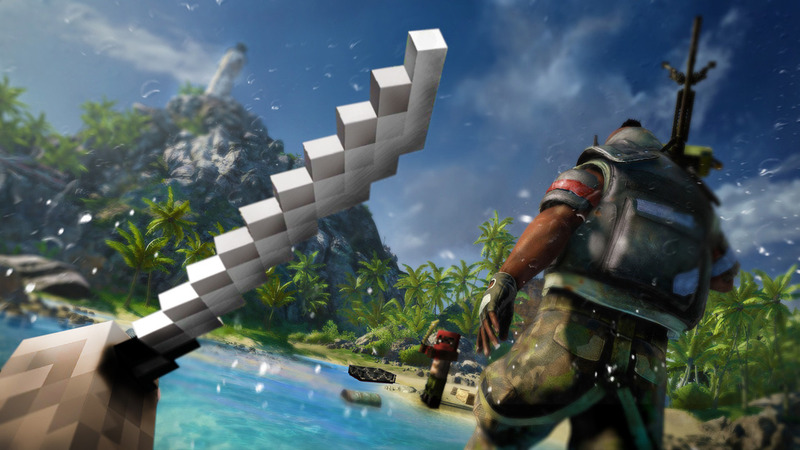 Ubisoft is taking a unique approach with promoting Far Cry 3 on the PC. They're going to release a FC3-themed mod pack for Minecraft by the end of the month. 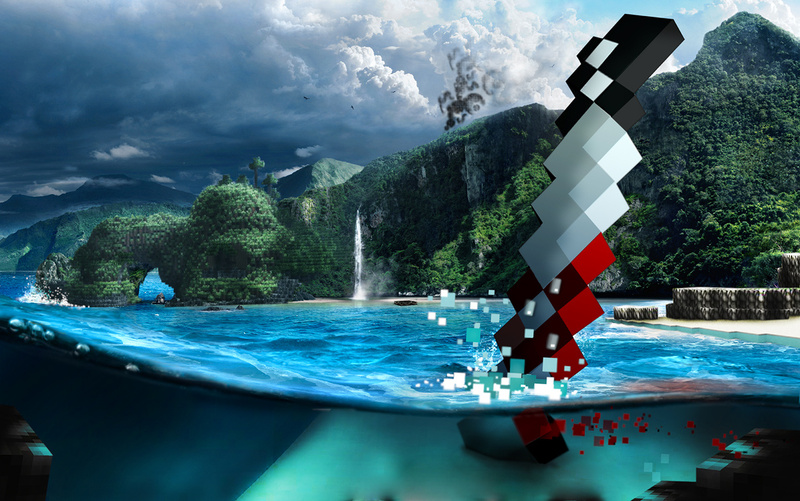 The Far Cry 3 mod, arriving on October 26th, lets you experience all the normal joys of Minecraft. 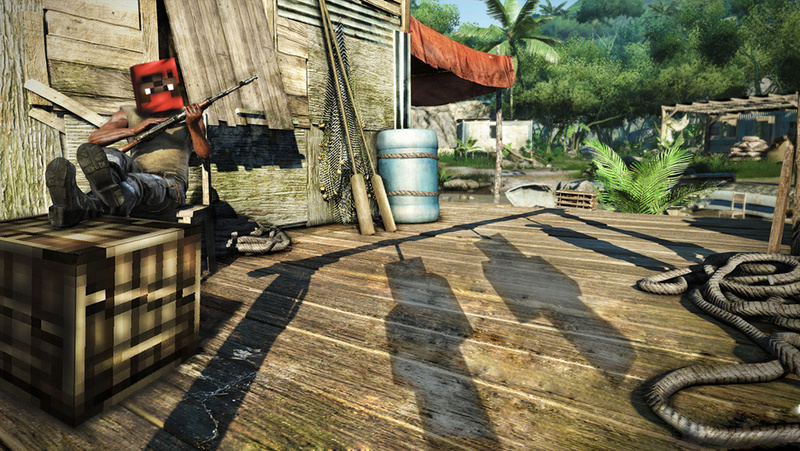 However, all the weapons, locations and items will be remade to resemble FC3 items. 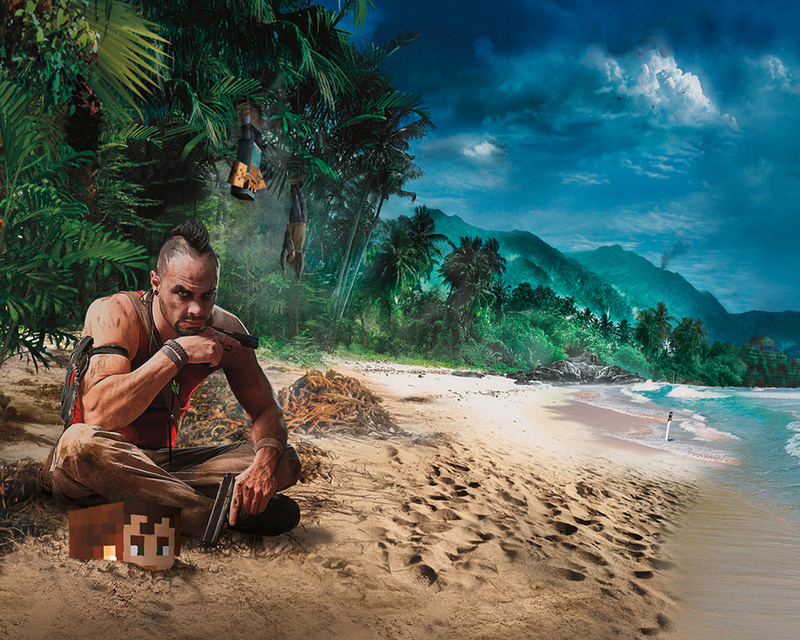 Say hi to the pixelated, blockish Vaas when you see him. Ubisoft is hoping you'll spend some significant time in this mod, too. They've seeded over 50 Easter Eggs throughout the island chain. No word on what types of secrets we should expect . Guess that would ruin the whole "secret" aspect of the them. 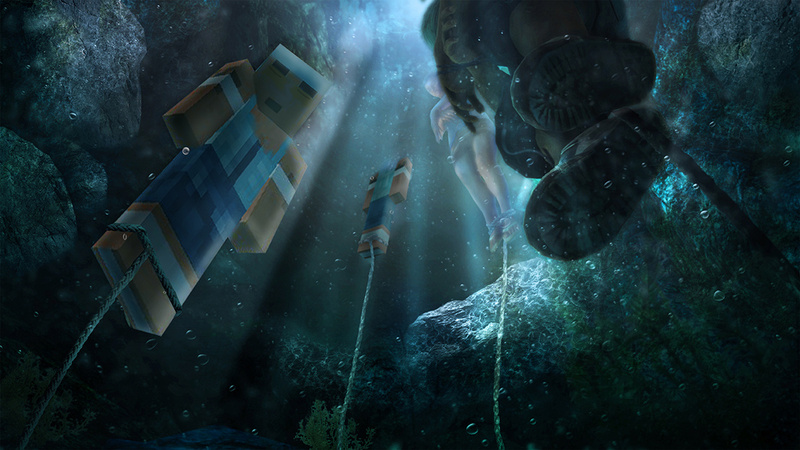 A few mock-ups of the MineCraft/FC3 collaboration are below. The mod won't actually look like this, mind you, but they're amusing pieces of art nonetheless.